Recently, the Central Government has identified almost 9,400 enemy properties worth Rs. One Lakh Crore and has ordered to sell it off. The Highest of these enemy properties are in Uttar Pradesh which in numbers are around 4,991 properties, second in line is West Bengal which has 2,735 enemy properties, 487 enemy properties are in Delhi. Among these 126 properties belonged to Chinese resident’s rest the properties belonged to the Pakistanis Residents. Furthermore, the Ministry has also passed an order to sell enemy shares expected value of which is around of Rs. 3,000 Crore. The first question that needs to be answered in reference to this is, what do you mean by the term Enemy Property? The Enemy Property Act, 1968 which is the governing act, defines the term “Enemy” as any country or their residents who performed external Belligerence against India. Basically, the nationals who left their properties in India and, now residing in the Enemy country then, those properties will be considered as an “Enemy Property”. These enemy properties includes both movable and immovable property. How these enemy properties are governed and managed? The Enemy Property Act of 1968 which deals with the concept of enemy properties, is also responsible for managing and regulating the matters of the enemy properties, However in this Act, there are some loopholes which needs to be corrected so for that matter, a Bill of Enemy Property (Amendment and Validation) of 2016 was first introduced in the Lok Sabha by the Minister of Home Affairs Mr. Rajnath Singh in the March of 2016. The Bill was then referred to the Rajya Sabha which established the Selection Committee and was directed to produce a report in this regard. The present bill has been introduced so as to replace the Enemy Property (Amendment and Validation) Ordinance, 2016 which was announced by the President on 7th January, 2016. Consequently, the present Bill seeks to amend the Enemy Property Act, 1968 as well as Public Premises (Eviction of Unauthorized Occupants) Act, 1971. In this Bill, the Central Government has deputed some of the properties belonging to the native of Pakistan and China as Enemy Property, after the external Belligerence performed upon India. Under the Enemy Property Act, 1968 a regulatory body named “Custodian of Enemy Properties in India” or “CEPI” has been established. Orders passed by CEPI cannot be intervened by the Courts. If everything was going good, what was the need to introduce this Bill? As already mentioned above, the Regulatory Body under the Enemy Property Act, 1968 which is the CEPI had certain powers, and in consonance of these powers, the Body use to pass the orders which the Courts of India also supported at the initially. However, later on , when the various courts gave their verdicts, the powers vested with the CEPI were hampered. I would like to cite some of the Judgments whereby the Courts have intervened with the procedure laid down in the Act. If the “Enemy” dies, then the property will be transferred through succession and it will no longer be enemy property, if the successor is a citizen of India. The Custodian will not be having any right, interest, and title in the property, only the enemy will be entitled to it. The enemy can sell the property by the virtue of Section 6 of the aforesaid Act. The power of the Custodian includes managing, preservation, and control of the Enemy property for the limited period as well as the purpose. The Law of Succession will be applied to the legal heirs of the enemy subject. 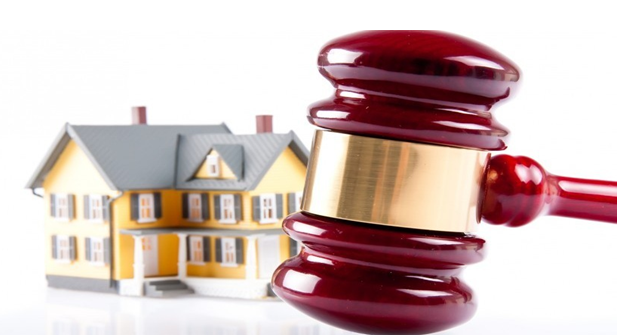 As a consequence of these Judicial precedents, Government felt it is the need of the hour that the legislative intent in relation to the Enemy Property Act, 1968 needs to be clarified. So, for clarifying the intention of the legislation, these amendments are introduced through this Bill. The definition of the “Enemy” and its subject needs to be changed, as it includes legal heirs of the property irrespective of the citizenship of the enemy subject. In the Act, the rights and powers of the Custodian are mentioned in a very ambiguous and vague manner. Erstwhile, the sale of the enemy property can be performed by the enemy subject, but now they cannot do so. This Bill prohibits the Civil Courts to intervene in the matters related to the enemy properties. Now, after introducing the Bill, the Government can exclusively use the enemy property for public use. Hence, after the passing of this Bill, the clarity which was needed in the legislative intent regarding the Enemy Property Act, 1968 has been dealt with, and the amendments were introduced through this very Bill of the Enemy Properties (Amendment and Validation) of 2016. After the Second World War in the year 1939, the Defence of India Act was introduced to prevent the payment which was supposed to be provided to the enemy subject, until the war ends. After this Act, The Enemy Property Act of 1968 became the governing statute of the Enemy Properties, whereby, it regulated and managed the properties of the Pakistanis residents, and this Act was passed after the Indo-Pakistan war which has happened in the year 1965. The ownership of the enemy properties under this Act is vested with the CEPI. In the year 1971, the Government of Pakistan sold and disposed off the properties of the Indian Residents. Due to this reason, the Government of India amended the Act of 1968 which reinstated the powers of CEPI and led to the introduction of this aforesaid Bill. The definition of the “Enemy” is vague or unclear, and does not include the legal heirs of the enemy properties. 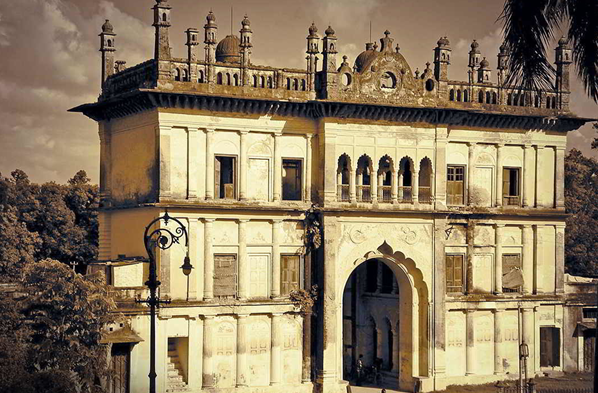 One such incident was addressed, in the case of Raja of Mahmudabad in which the Raja left after the partition, but his wife and son remained Indian citizens soon after that, they were declared as enemies and their property was considered as enemy property, after the enactment of the 1968 law. Another lacuna in this Act is that, the courts are not allowed to intervene in the process of CEPI. The very first feature of this Bill is, the Change in the Definition of “enemy” which has been made wider in scope, and it now includes the legal heirs of the enemy subject. This means, if the enemy subject dies, then the Successors of the same will also be considered as an enemy and they will not be able to inherit the property. Thus, the Central Government has the sole authority to use enemy property now. Secondly, this Bill provided a permanent status, where the Custodian is vested with more powers and rights means the Custodian will have all the rights, title and interest over the enemy property. Thirdly, this Bill provides a clear picture regarding the succession of the enemy property which states that, the Law of Succession will not be applicable in the matters of enemy properties. Fourthly, the Custodian, under this Bill can now sell, dispose of the enemy property, and can also make eviction of the unauthorized occupants. Last but not the least, the present Bill states that the Civil Courts will have no Jurisdiction and cannot entertain these matters related to enemy property, only High Courts and Supreme Court will be having the jurisdiction to deal with such matters connected therewith. This can be explained from the point that the original Act expressly mentioned under Section 2(b) that the word ‘enemy’ “does not include a citizen of India”. However, the present bill under Sec 2(1) (III) clearly states, “…the expression ‘does not include citizen of India’ shall exclude…those citizens of India, who are or have been legal heir and successor of an ‘enemy’.” As a result of which many other wise legal citizens of the country will now be devoid of their property owing to acts of their forefathers. In clear terms , the present bill has now classified Indian Citizens into two classes , One Indian Citizen who are legal heirs of Indian Citizen and second Indian citizen who are legal heirs/ succesoors of “ Enemy” Meaning thereby, the present bill retrospectively violates vested rights in property, Any person who bonafidely purchased a property when it was sold can now be ousted from his vested interest in the subject property. All this have opened door for Judicial Intervention, I can forsee judiciary coming up for sorting out the confusion. Author: Mr. Shubham Borkar, Senior Associate – Litigation and Business Development and Vaishvi Khare – Intern, at Khurana & Khurana, Advocates and IP Attorneys. In case of any queries please contact/write back to us at shubham@khuranaandkhurana.com or at www.linkedin.com/in/shubhamborkar. It is a unilateral attack by force conducted by one state against the other state without any formal declaration of the war.